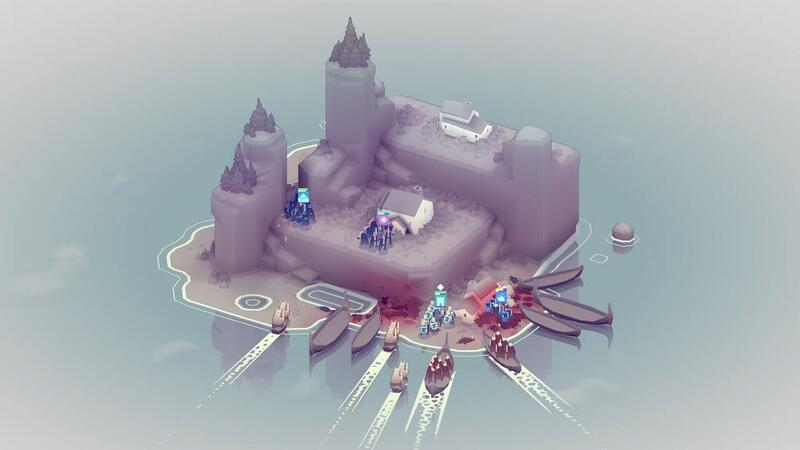 Bad North is a minimalist strategy game: think tower defense but with small mobile armies. Guard the tiny islands of your kingdom, recruit local nobles to your cause, upgrade your adorable warriors, and repel the Viking invaders for good! The game features subtle tactical combat on an isometric battlefield, where players take control of small squads to fend off viking raiders and prevent them from burning your village down. Much of the strategic depth comes from the spatiality of the levels - controlling passes and choke points to defend the island. As you progress through the campaign, you are faced with a variety of enemy types and environment layouts, and upgrading your troops and learning the subtleties of their interactions will be key to saving your kingdom.